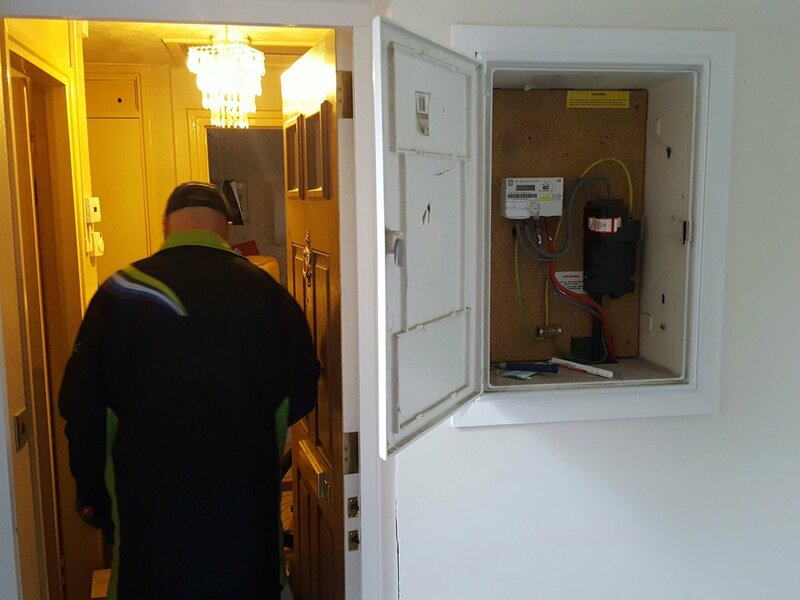 Today the SSE Engineers came to install Smart Meters for Gas and Electricity that allow real-time readings that are being rolled out across UK. Smart meters allow for meter readings to automatically be sent direct to the Energy supplier, so you don’t have to read your meter, ending estimated bills. According to new research from the independent body in charge of the British rollout, a vast majority of the UK population gave high approval of the smart meter technology. The SMART meter for Electricity which is the main box is installed first, then can the New GAS meter to be installed. So far around 400,000 meters have already been installed for SSE domestic properties around the uk. 82% of people with a smart meter have taken at least one step to reduce their energy use, while 81% would recommend the device to others. Overall five million smart meters have been installed across the UK at a cost of £11bn. Every household and small business will be offered one by 2020 at “no additional cost”, with the full national rollout expected to begin at the end of September. The Smart GAS meter now in place. Once our installion was finished we were handed their "Smart Meter Handbook". Inside they had my old and new meter readings taken on the day. Robert talked me through how to use the SMART energy Tracker. Using wireless technology to communicate with the new Smart Energy Tracker, it can monitor the energy usage, every half-hour for gas, and every 10 seconds for electricity. This helps the customer set targets and save money. It’s been in British legislation to upgrade our meters, by 2020 at a rollout cost of £11bn. Energy suppliers will save money by not having to send out meter readers to homes and fewer complaints from estimated bills. Smart Energy GB’s recent report stated that the integration of smart technology will lead to UK cities embracing renewable energy sources as part of a transition to smart cities.